Before I really got into gaming, I used to watch one of my friends play games like Super Mario Bros. and The Legend of Zelda on an old NES that was handed down to them by their older sister. I wasn’t really interested in platformers and action games at the time, so I never really got into them. I was more interested in strategic games, like chess, card games, and stuff like that. Then I discovered…Pokemon. To say that Pokemon was incredibly popular when it was first brought over internationally is an understatement. A good number of my friends were obsessed with the TV show. After discovering that the show was based on a series of games, I knew I just had to get them. So after saving up many quarters and ones of dollars and saying “Come ooooooooooooooon” to my parents a lot, I eventually got a Game Boy Advance and a copy of Pokemon Crystal. The game that changed my life forever. I remember the first day I got it vividly. I opened up the box and pulled out its contents, fawning over the cartridge like it was the Holy Grail. Before I even put the cartridge in my GBA, I made sure to read the manual that came with it. I didn’t know if there would be something I’d miss, since most games I was exposed to before this point barely gave you any instructions in-game. That wasn’t the case in Pokemon Crystal, though. I felt like a bit of an idiot, then. From the moment I started the game, one of the things I really liked about it was that it was in full color. Not just having different filters on the screen, either. This was way more detailed than the previous games. The Pokemon themselves actually looked like how they do in the TV show. In Crystal, they even added little animations for the Pokemon before battle started. It’s little touches like these that make me smile. This newfound color also gave way to Shiny Pokemon, an alternate coloring for a Pokemon that is incredibly rare. I honestly don’t care about shiny Pokemon now, but I completely lost it when I caught a shiny Pokemon of my own. 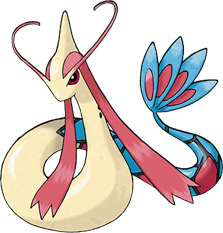 No, this wasn’t the Red Gyarados that everybody caught. This was a Pokemon that just showed up out of nowhere that I immediately caught. It was an Unown, but it was a super rare blue Unown. Completely useless, but still worth bragging about. At least, if you’re 10. James Best expressed his love for the simplicity of the old Pokemon Red/Blue games. I didn’t play a 1st gen Pokemon game until after I got Pokemon Crystal. While I won’t deny that there’s a charm in the original games’ simplicity, I just prefer the additions that were featured in this generation of games. I liked the day/night cycle and the special events on certain days of the week because they made the world in the game feel more alive. I liked the ability to give Pokemon items to hold because not only could you get an edge in battle with the right item, you can finally trade items with your friends. I liked the addition of Dark and Steel types because they looked cool and were something new. After playing Pokemon Yellow, where Psychic types were incredibly overpowered, I came to appreciate these new types a lot more. I liked the radio function in the Pokegear because you could play different tracks as you traveled. It wasn’t much, but it was something. But I think my favorite thing about the game was that it expanded on the world in the games. It didn’t simply add a new region, add new Pokemon, and make up a new villainous team like later entries did. It actually referred to the events of the previous game. Whether it was the return of Team Rocket, Koga graduating to the Elite Four, or references made to the previous protagonist of the series and his adventures through the Kanto region, this generation attempted to make a strong sense of continuity. Game Freak could’ve stopped there, but they didn’t. After you beat the Elite Four, you could actually explore Kanto. You could see how they changed since then. And if you beat all the gym leaders in that region, you can go to Mt. Silver and fight the protagonist of the previous games! Thanks to the Pokemon World Tournament in Black 2/White 2, you can fight previous gym leaders and champions. That’s nice and all, but nowhere near as cool as all of Kanto opening up to you. Aside from the remakes of Gold/Silver, no other Pokemon game would let you go back to previous regions and fully explore them. In a move I would deeply regret later, I decided to sell my old copy of Pokemon Crystal after getting my copy of Pokemon Ruby. I knew that I couldn’t transfer my Pokemon from my copy of Crystal, so there wasn’t any point in keeping it. 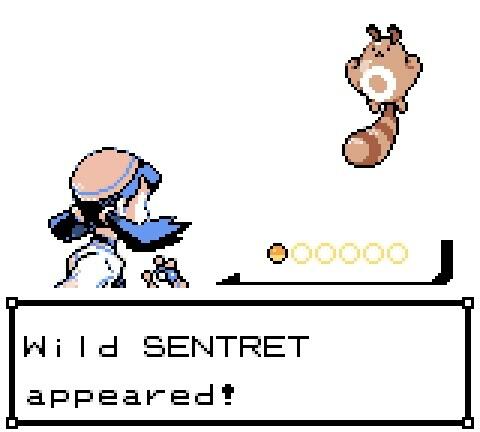 Unfortunately, I learned too late that not only were you unable to go back to Johto or Kanto in Ruby, but that not all of the Pokemon from those two regions made a return. I didn’t have an N64 and a copy of Pokemon Stadium 2 to back them up, which made the ‘oh god, what have I done’ feeling much more painful. Thankfully, once I was old enough to buy stuff on eBay, I bought another copy of Pokemon Crystal. 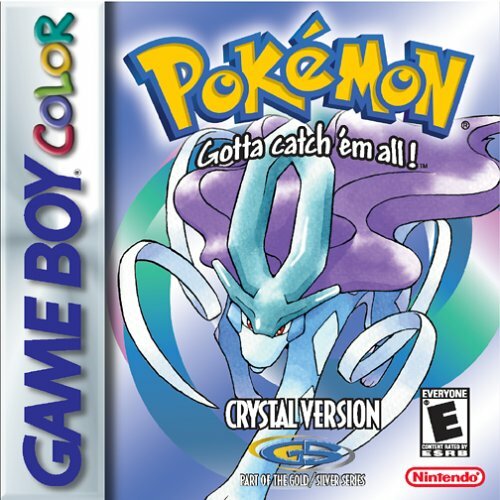 Pokemon Crystal did a lot of things right, but that’s not to say it didn’t have its faults. The breeding mechanic, even in a turn-based RPG tasking you to catch every single creature in existence, was incredibly tedious and time consuming. This only became more of a hassle once abilities and natures were introduced in Pokemon Ruby/Sapphire. Some Pokemon from the original 151 could only be obtained by trading between games from previous generations, most of them being legendaries. Since I had only one Game Boy Advance, only had Pokemon Crystal, didn’t have either an N64 or Pokemon Stadium 2 and didn’t have a lot of friends that also had Pokemon games, this really bothered me back then. I would say that the whole happiness mechanic and “evolution via happiness” was arbitrary and pointless. But, compared to what future installments would have you do, it’s not really that bad. I hate you. With all of my hate. Despite Game Freak’s efforts to give this franchise a greater sense of depth in Pokemon Black/White, Pokemon ultimately still isn’t very deep in my opinion. Pokemon Crystal isn’t even my favorite game of all time. That honor is currently in a three-way tie between Final Fantasy VI, Chrono Trigger, and Earthbound. That said, I highly doubt I’d be the kind of gamer I am today if I hadn’t discovered this game, or indeed this franchise. Hell, I wouldn’t even be writing for Operation Rainfall in the first place. So I’ll always have a special place in my heart for Pokemon Crystal.